Buy your 2019 Gallagher's Canyon Game Packs Online! Come enjoy the view from the Clubhouse at Gallagher's Canyon. 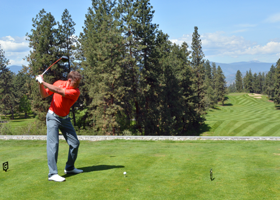 Situated in picturesque southeast Kelowna, Gallagher's is a top destination for golfing and special events in the Okanagan. The Clubhouse offers the finest in dining and amenities for tournaments and group functions. No visit to Gallagher's is complete without a visit to our dining room or lounge, where our passionate culinary team brings the finest local ingredients to your plate. Enjoy it all while drinking in the spectacular view from the patio or picture windows of our Clubhouse.